What's Up? The Space Place: Pluto Flyby 1st Images - WOW Oh WOW! 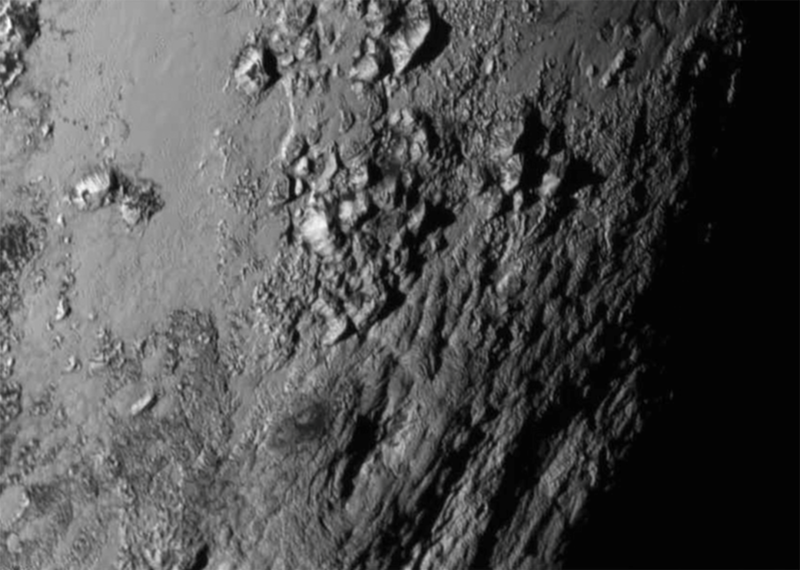 Pluto Flyby 1st Images - WOW Oh WOW! In this just released photo taken by the New Horizons spacecraft during its 7-14-15 flyby of Pluto you can see mountains made of ice that are 11,000 feet high! Pluto also lacks impact craters that you would expect for a 4.5 billion year old world. 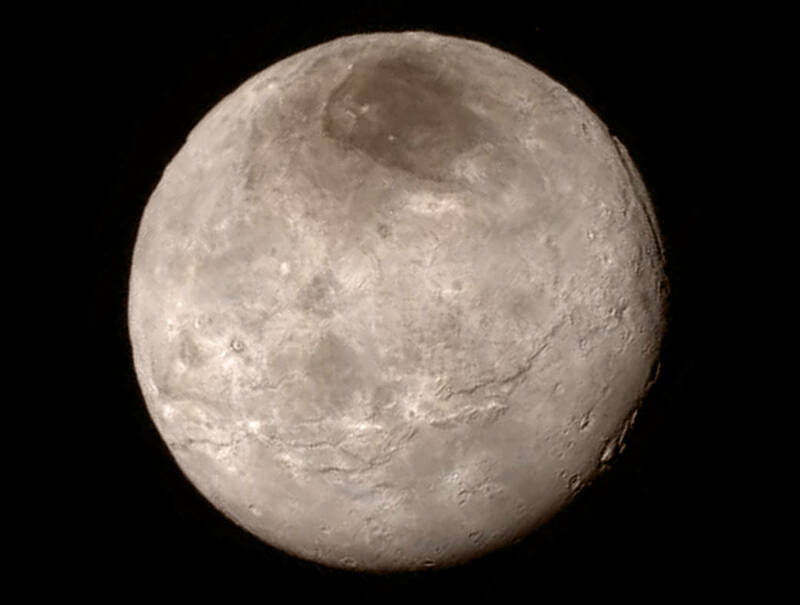 The lack of craters means that Pluto is a geologically active world that "refreshes" it surface. This is an entirely unexpected discovery. Charon, the largest moon of Pluto, has a surprisingly young surface devoid of large numbers of impact craters just like the Pluto image. The "gouge" in the upper right section of Charon is a canyon over 4 miles deep and we can actually see through one part of it into space itself. Ridges, the dark pole, oh so much going on here! More images and data will be coming in and the next release should be this Friday. This is JUST STARTING as there are 16 months of data and pics headed our way.